Victor Rodriguez is still out, but a banged up Nicolas Lodeiro will start Sunday as the Sounders play host to No. 2 overall New York City FC at CenturyLink Field. The Sounders are unbeaten in five matches, but have yet to beat an opponent currently better than .500 this season. 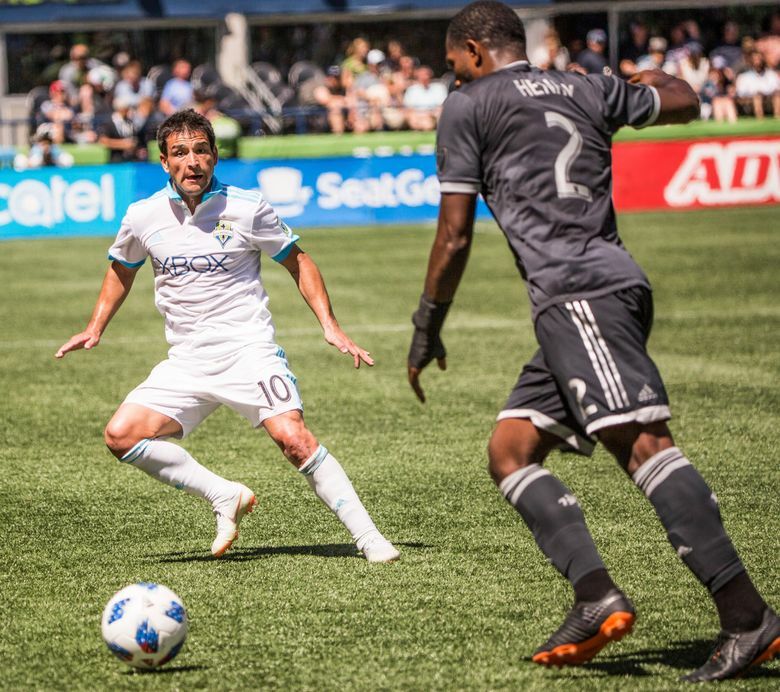 Nicolas Lodeiro has been banged up of late, but he’s in there on Sunday against New York City FC for a Sounders team that is again without Victor Rodriguez and his strained hamstring. Clint Dempsey will start the game off on the bench as Cristian Roldan bumps up to the attacking wing role in Rodriguez’s place and Lodeiro slides over as a central midfielder. Harry Shipp takes the opposite wing. Osvaldo Alonso gets his second straight midfield start after some strong play of late, lining up alongside Gustav Svensson. In all, not a bad lineup for the Sounders against a formidable for in the league’s No. 2 overall team. Both squads played on the road midweek, though NYCFC was three time zones away at Orlando. Worth remembering is that the Sounders have yet to beat a really good team all season, unless you count the home match against a Chivas squad that went on to win the CONCACAF Champions League. Some might argue that Toronto FC is a “good” team, so we can qualify that by saying the Sounders have yet to beat a team with a winning record all season. NYCFC would certainly count on the “good” and “winning” fronts. We could learn a lot about this Sounders team on this particular afternoon.